Yet at about 3:46 p.m. on Jan. 8, she received a ticket for parking in the disabled space at Elm and Main Streets. Ultimately, Commissioners Keith Richey, Pam Crum, Peter Ogilvie and Stuart Stringfellow voted to uphold the ticket. Commissioner Chris Hering recused himself from the vote because, he said, Rama is his neighbor. But at the Elm Street space, “there’s no lines,” she said. truly would never have parked in a spot like that. Having a handicapped parking sticker myself, I would never do that. Yet that spot has been a designated disabled space for more than 20 years, Richey said. According to Miltenberg, state law says that “signs rule” and there’s no requirement to paint the asphalt as well. 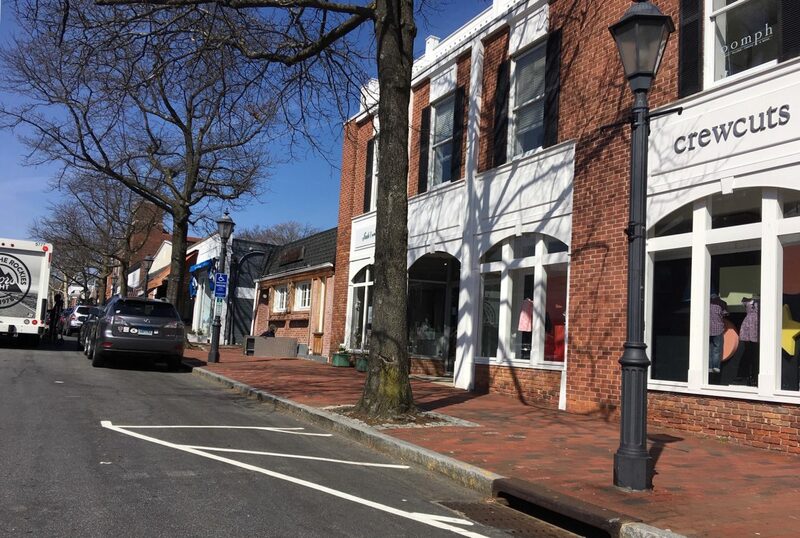 When Rama said the “everywhere else in town” has paint on the ground, Miltenberg noted that none of the three disabled spaces on Elm Street have anything on the ground. The Commission spent little time deliberating. Richey said that Rama’s points about her hip replacement and old disabled parking sticker were not relevant. I think this appeal had merit. It is not at all clear where the handicap space is in this location. If the entire area in front of the sign is a handicap parking zone, it is really two parking spaces. The appellant claims to have parked as far away from the sign as she could, which should have left a space in front for handicap parking. Even if not legally required, some blue lines marking the handicap zone would be helpful. they can since so many yellow stripes were put down. I wonder what the reason for this is? It took me three times around the block to find a space across the street from the old post office??? ?